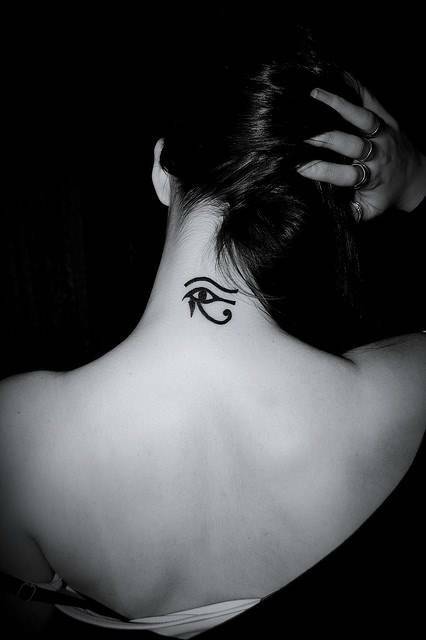 The eye of Horus, often called the Eye of Ra, is depicted as a stylized human eye with markings found on a falcon. 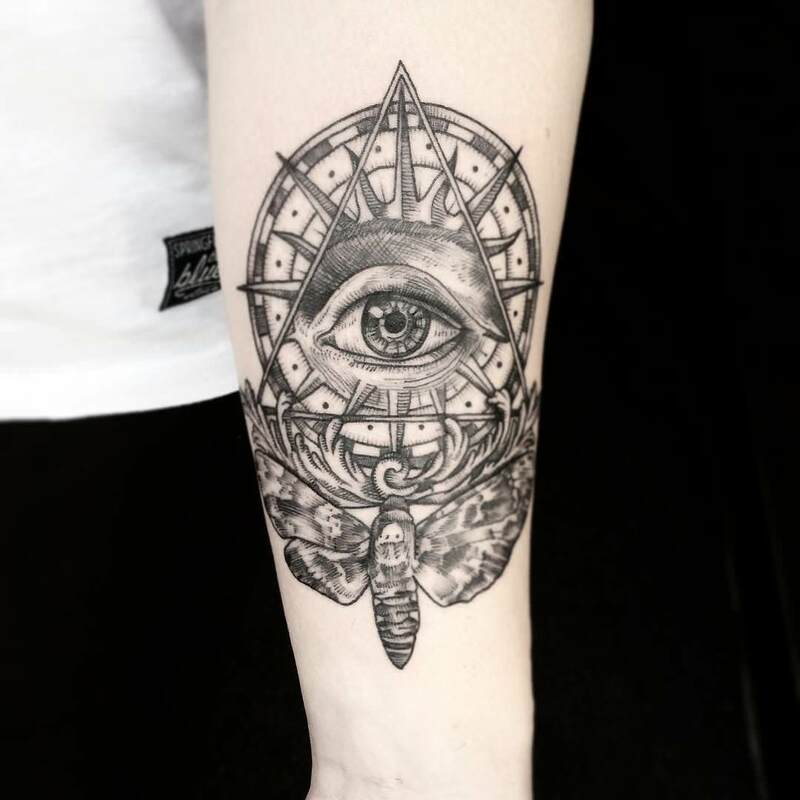 The myths behind the design differ but always revolve about the sky god, Horus, who is said the right eye was the sun and left eye was the moon. 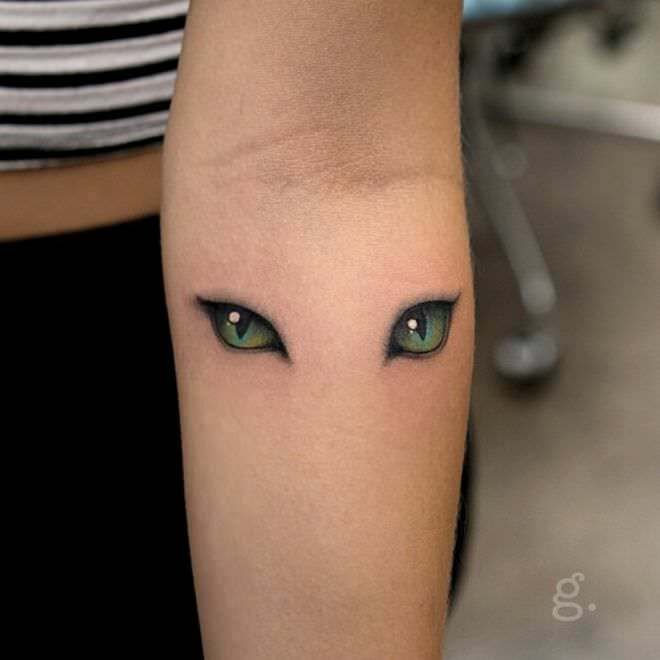 The Eye of Horus tattoo symbolizes protection, healing, and sometimes vengeful wrath. 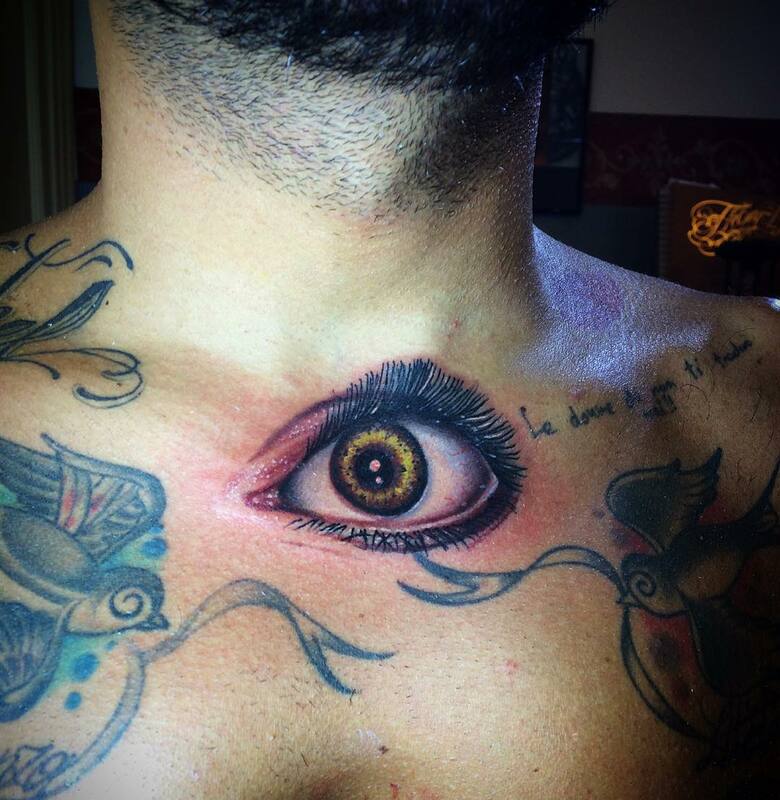 The third eye tattoo is mainly associated with enlightenment, intuition, inner wisdom, and for yogis – the sixth chakra. 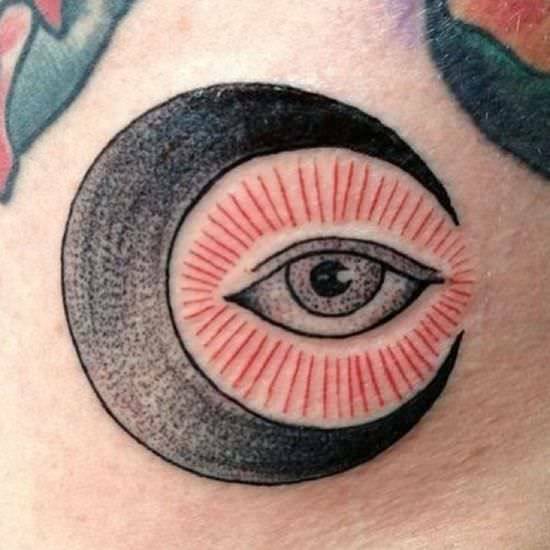 Buddhism, Hinduism, and Indian traditions feather the third eye as a dot in the middle of the brow. 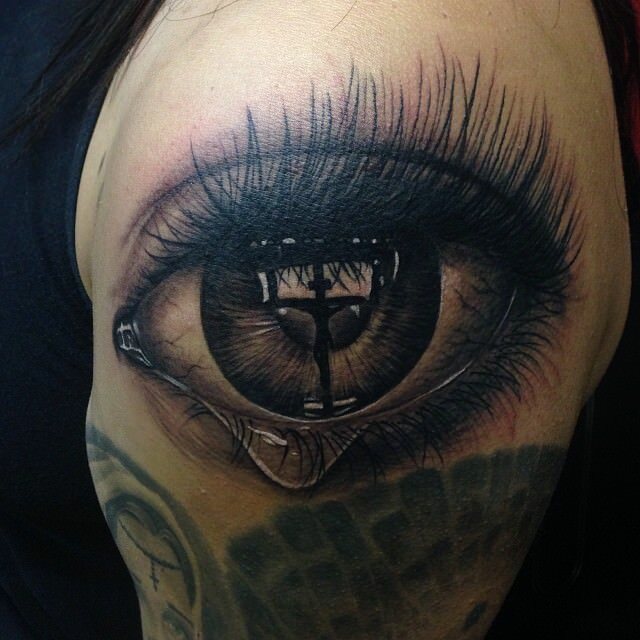 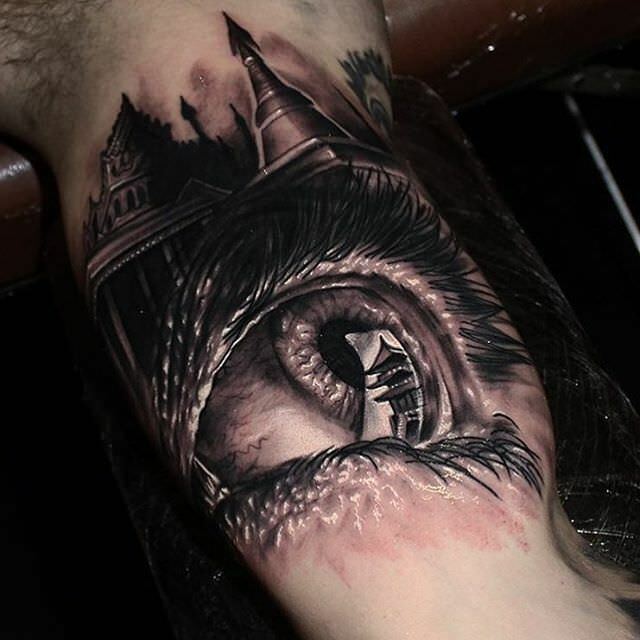 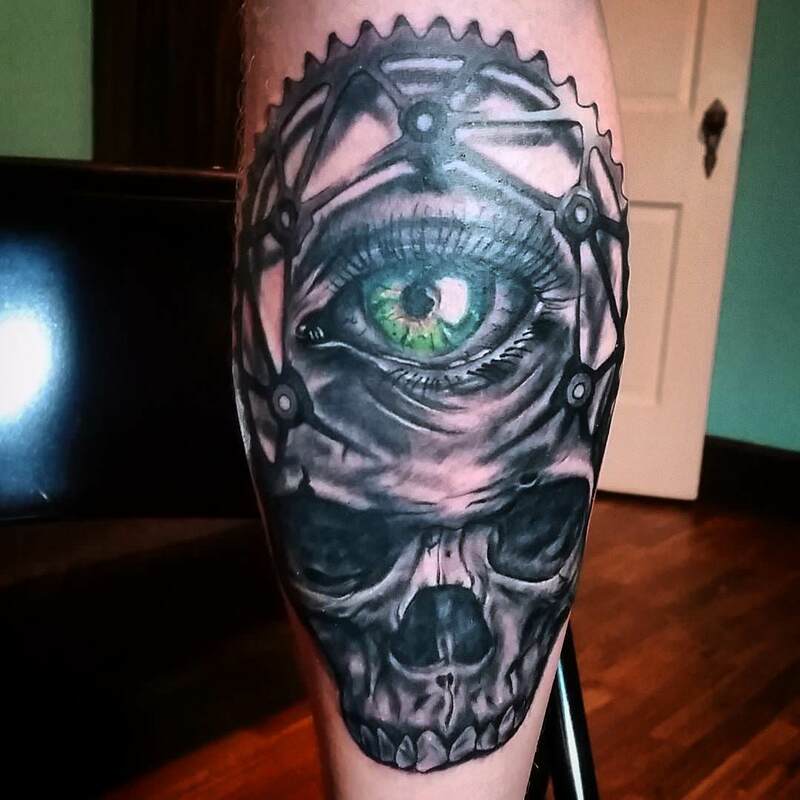 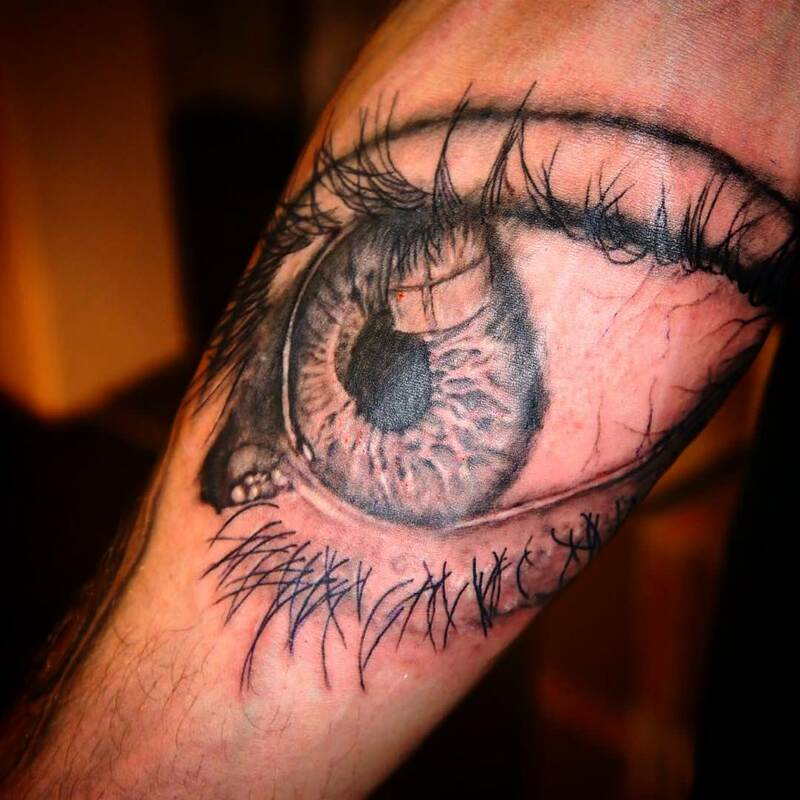 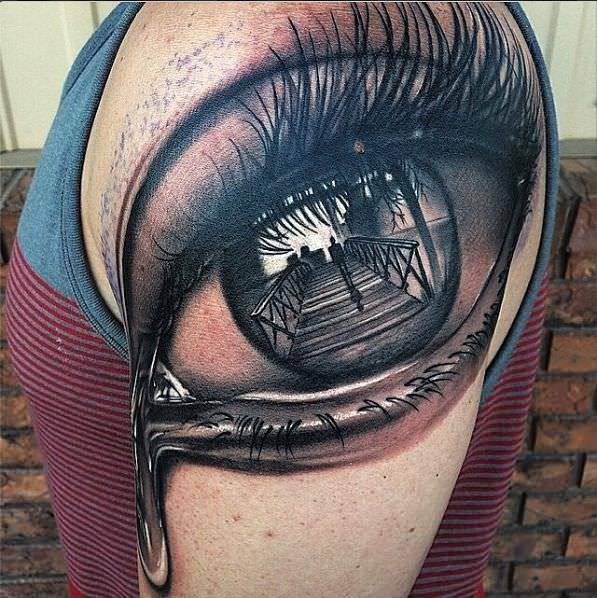 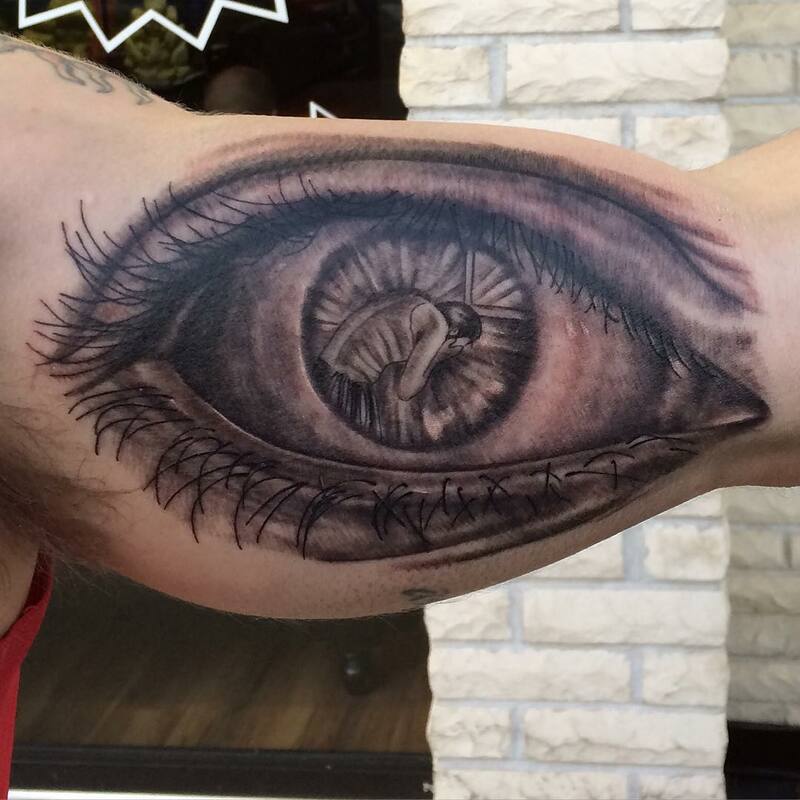 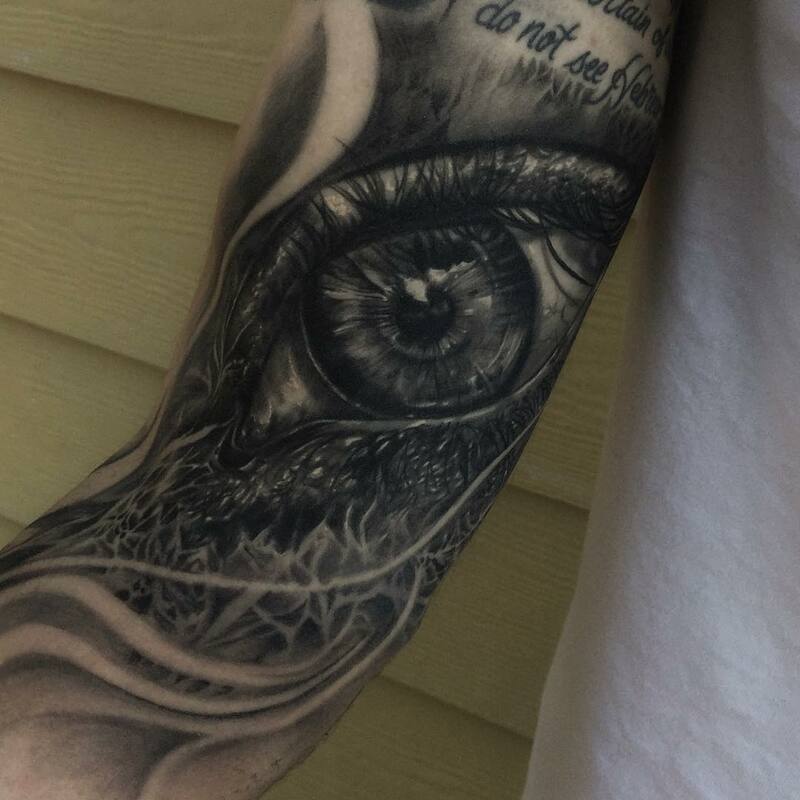 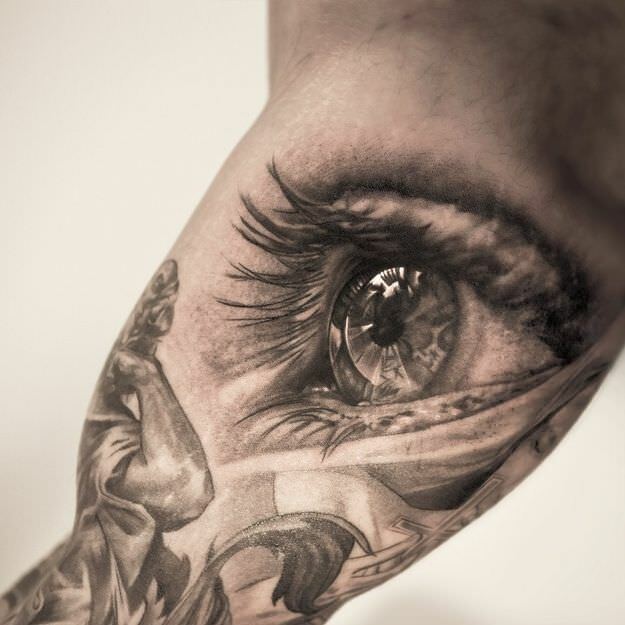 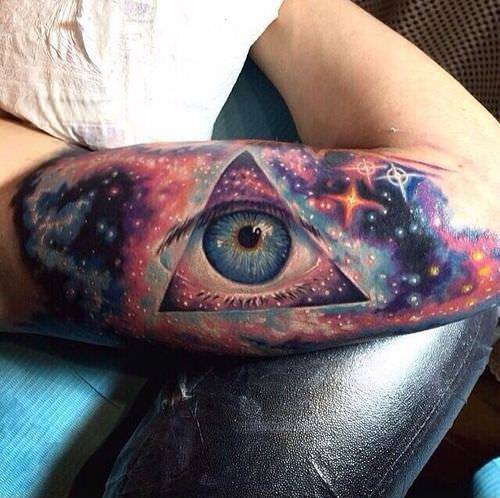 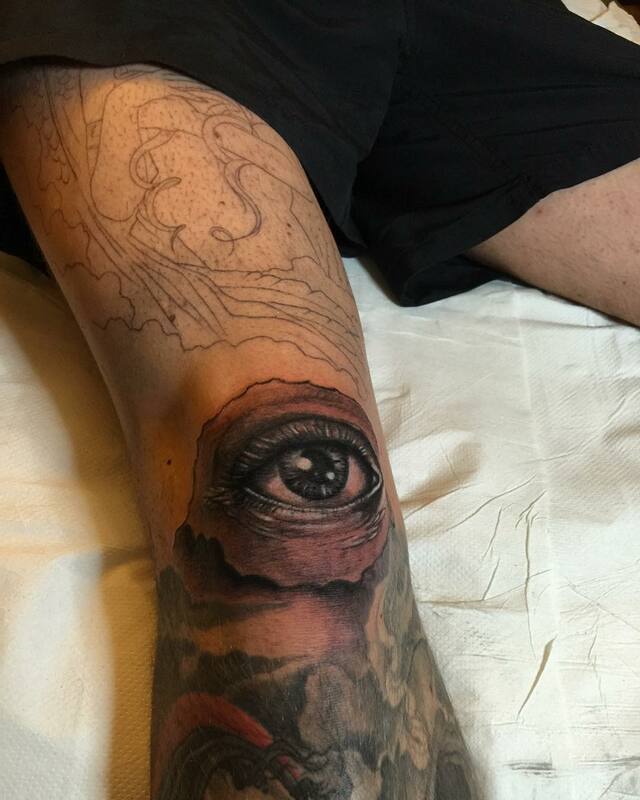 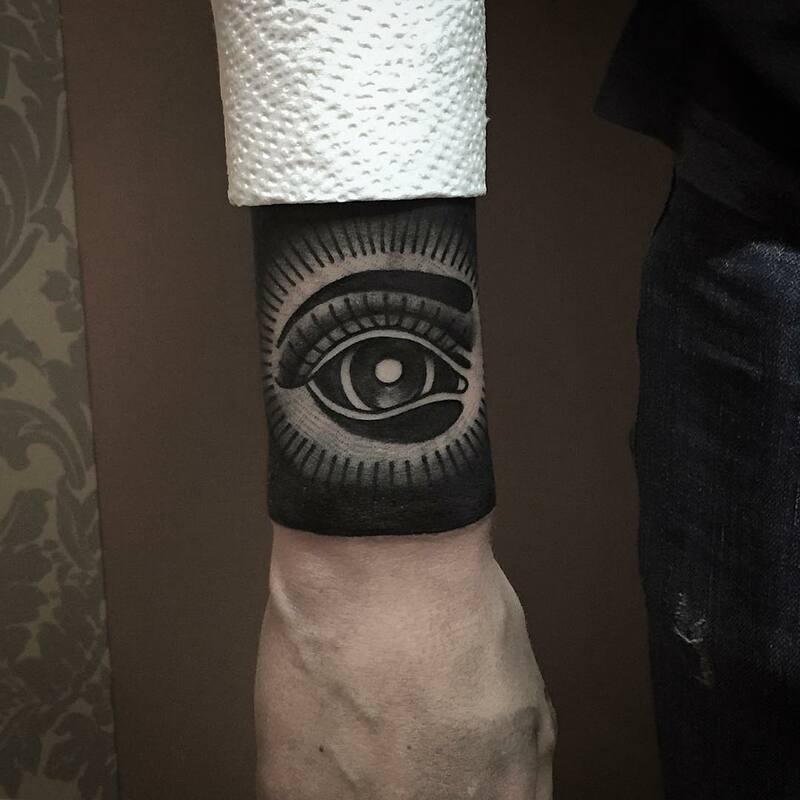 The Eye of Providence, also known as the Eye of God is a realistic human eye tattoo. 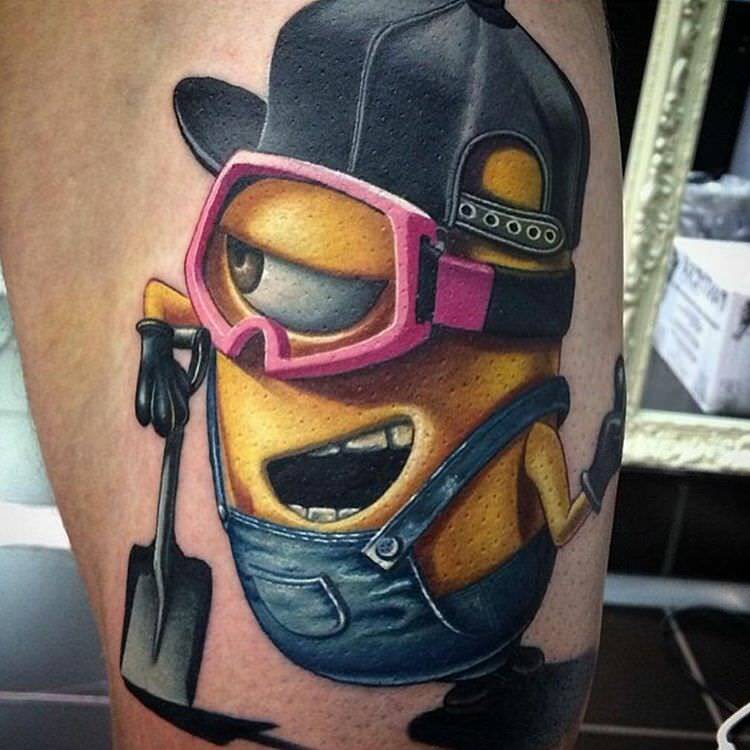 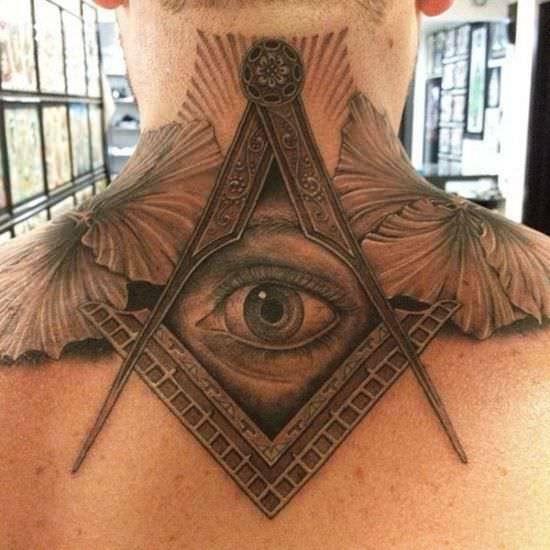 The tattoo is often depicted within a triangle which is surrounded by bright rays of sunlight. 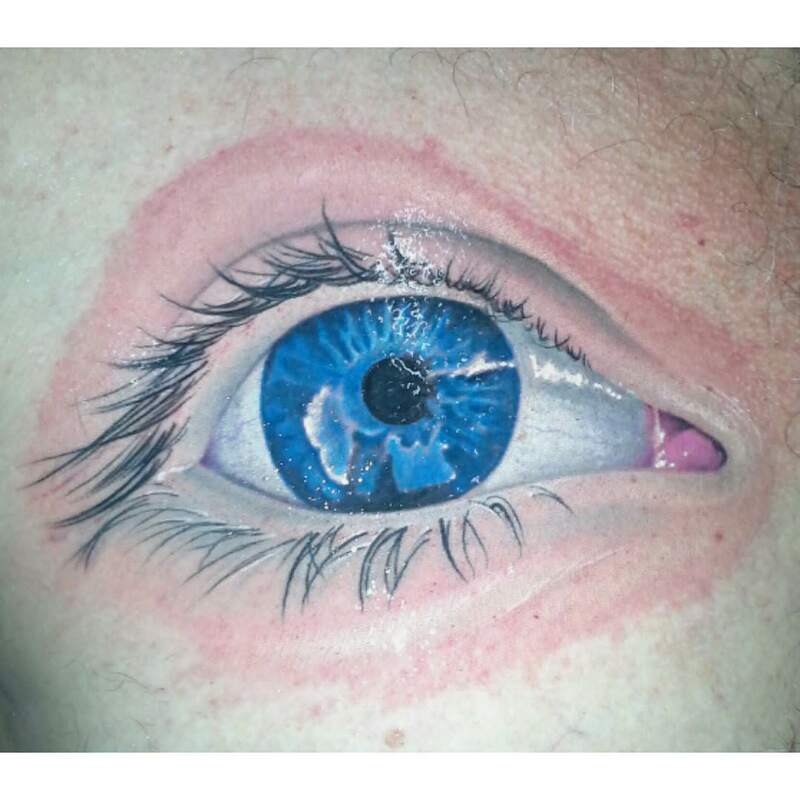 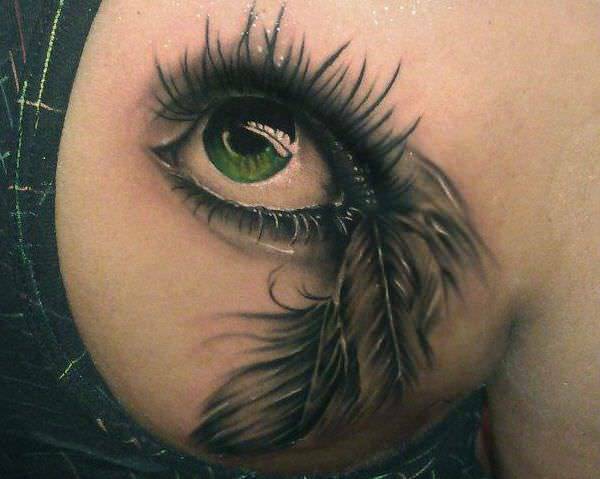 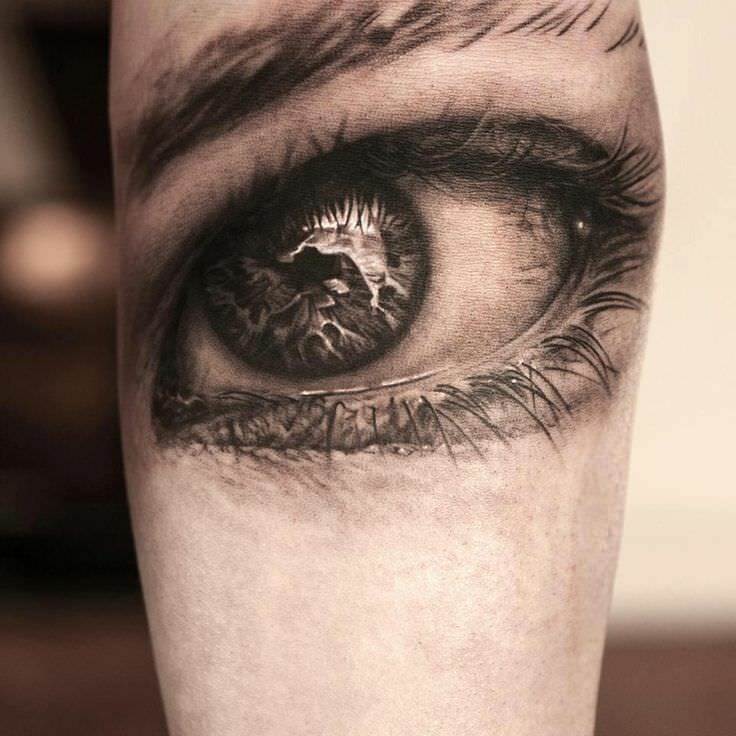 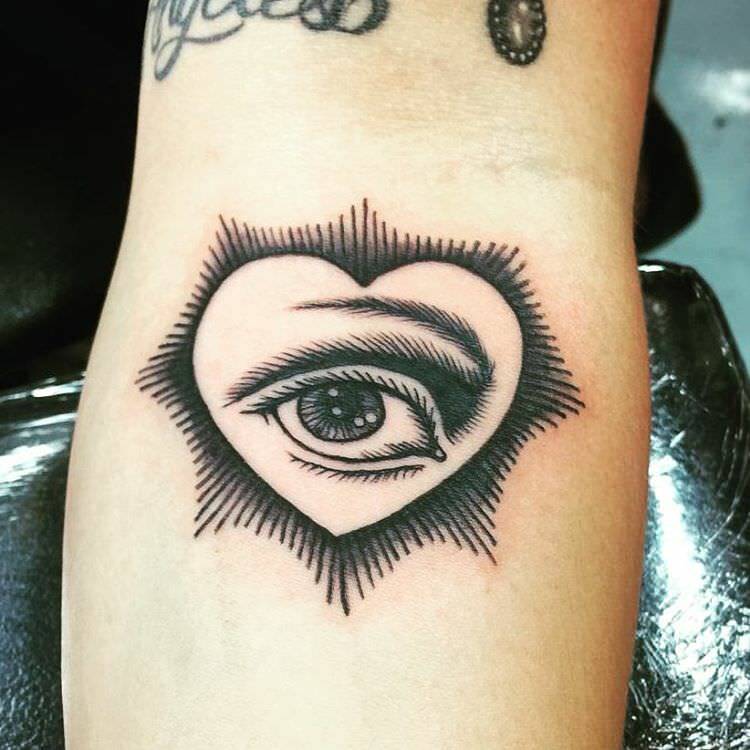 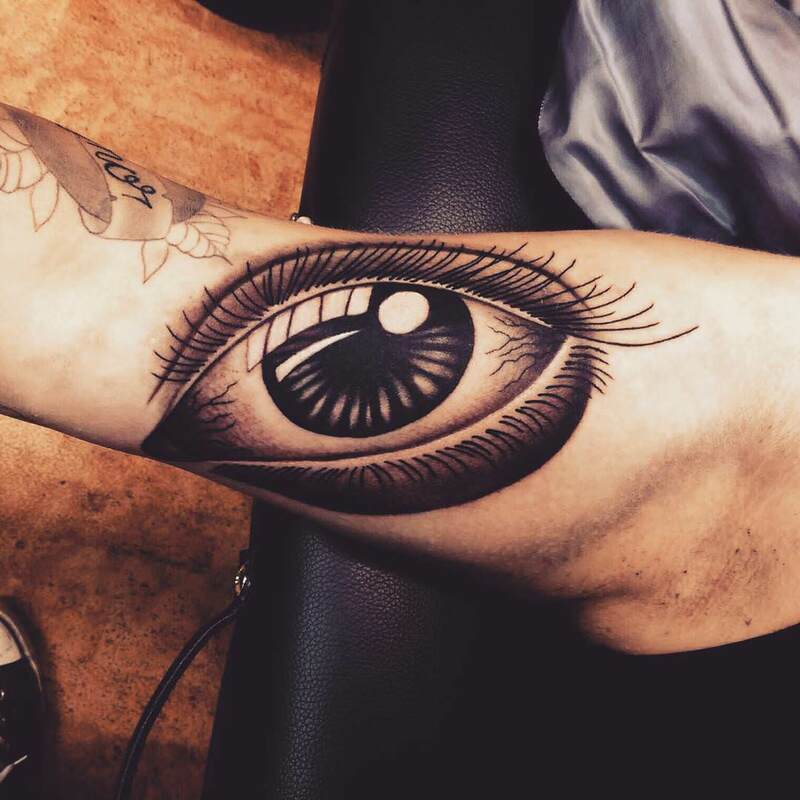 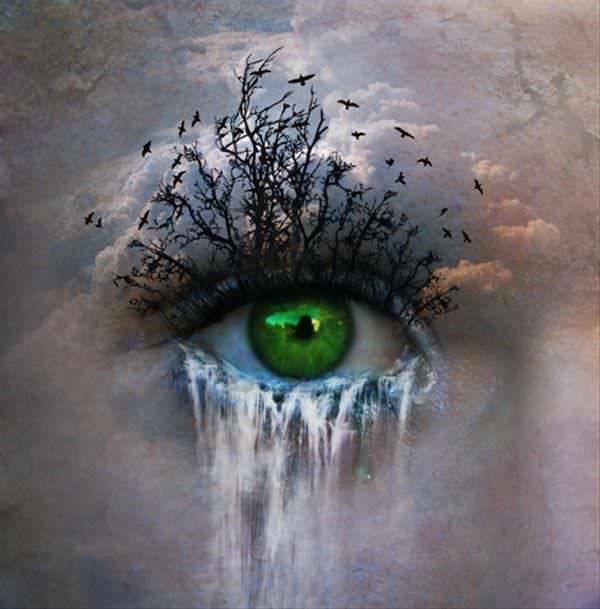 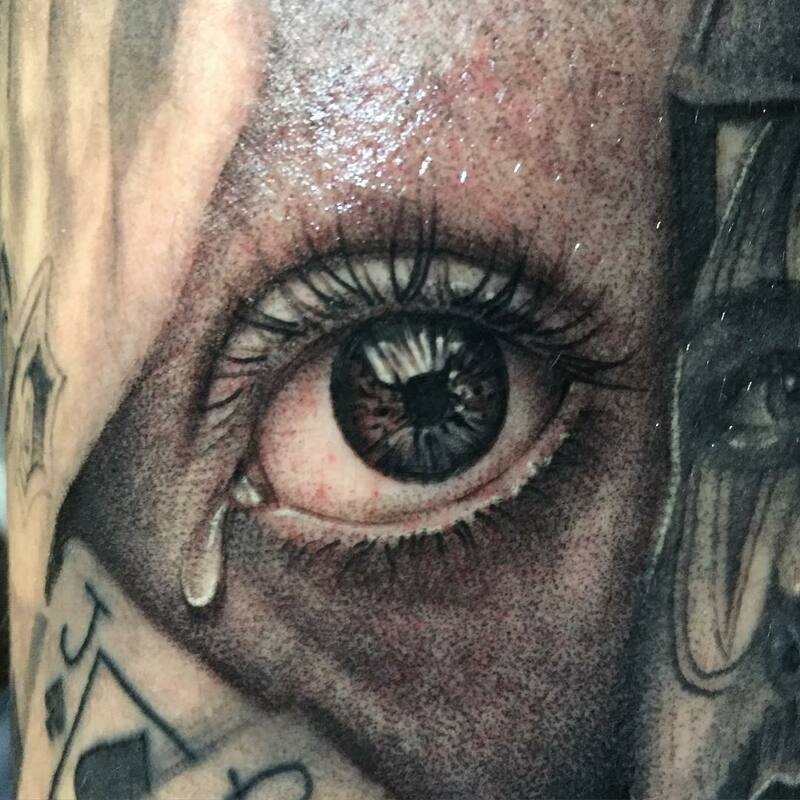 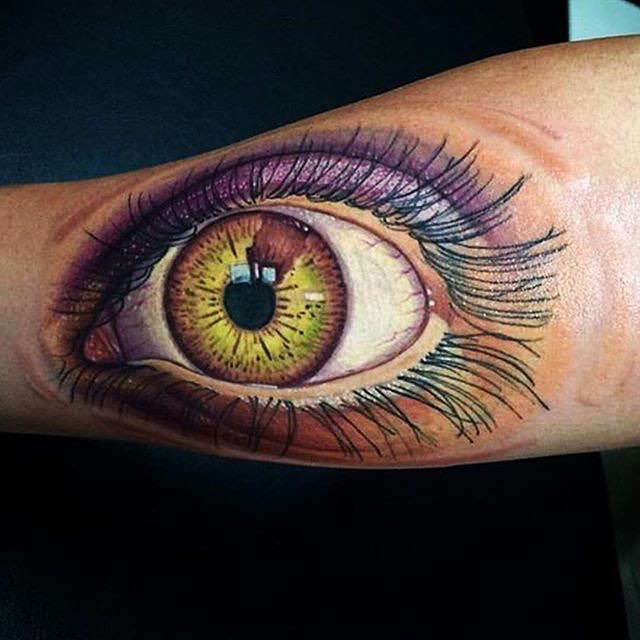 Many relate this eye tattoo design with money, if you loathe religion, Illuminati conspiracies, the Eye of Providence has a certain meaning for everyone. 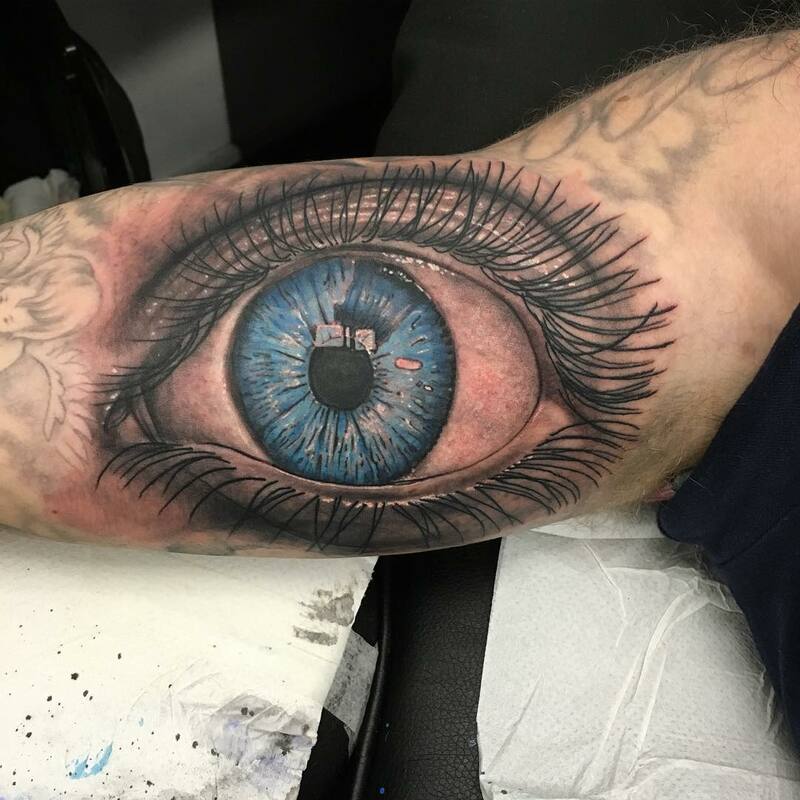 Evil eye tattoos are often used as talismans that are believed to ward off the evil eye and curses that associate with it. 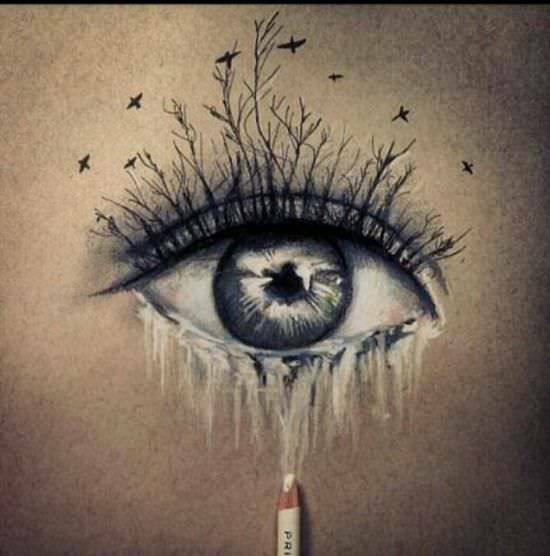 It is thought to direct the bad vides back to those who sent it. 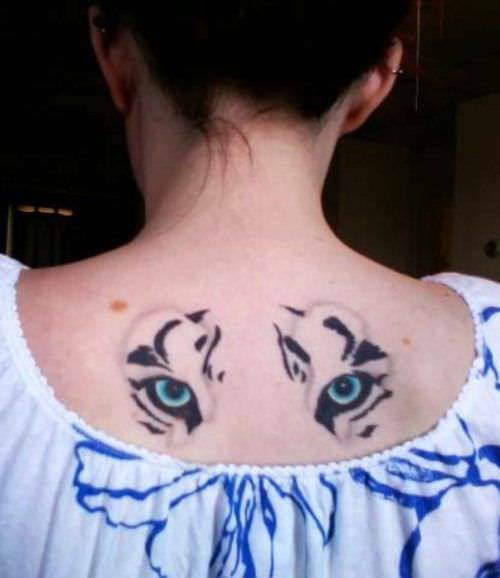 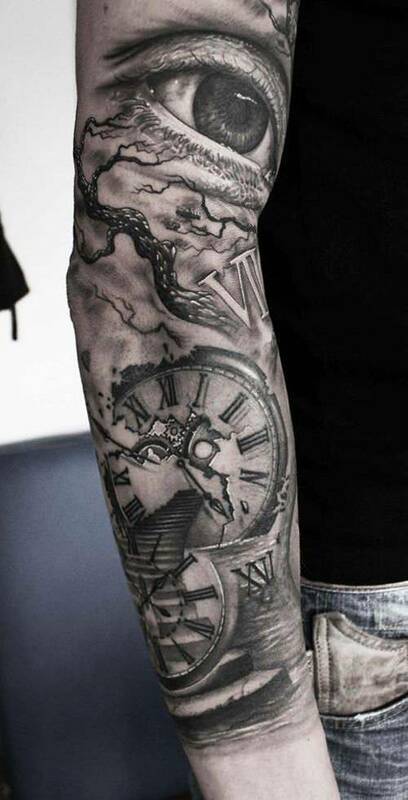 Meanings may include safety, patience, loyalty, faith, and perseverance. 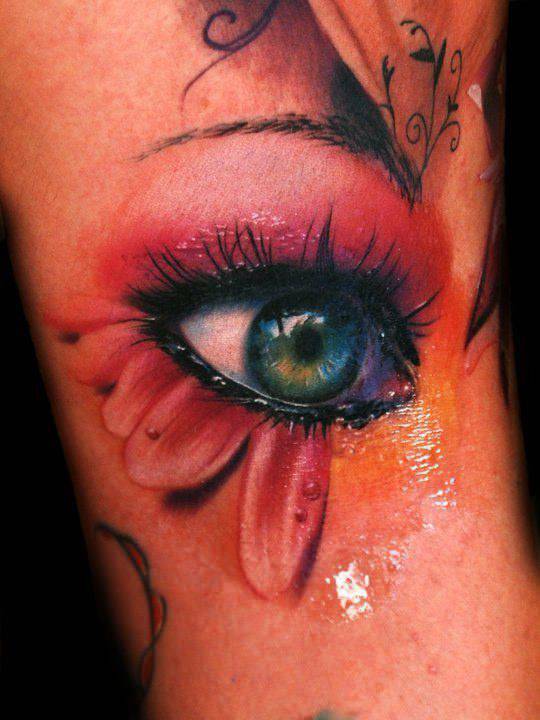 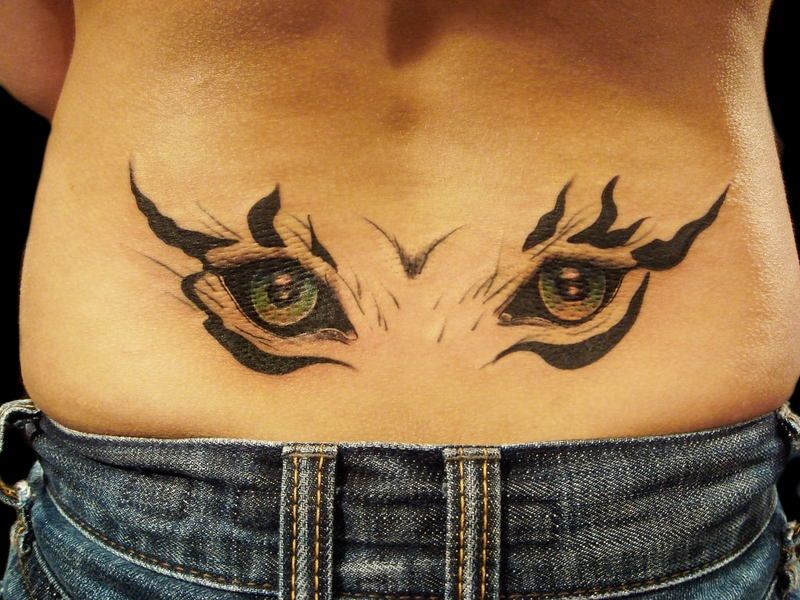 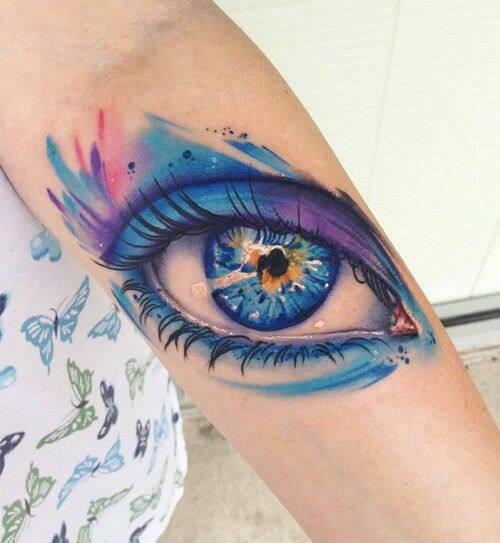 Evil eye tattoos are often made of beautiful colors or swirling designs.